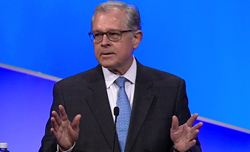 American Medical Association EVP/CEO James Madara, MD pitches AMA’s recently announced Integrated Health Model Initiative at the organization’s Interim Meeting. He criticized the poor organization of clinical data sets; the lack of clinical usefulness of EHRs; the need for meaningful interoperability; and “oceans of data, but only puddles of clinical meaning.” His overriding message was that useful information is scattered throughout the EHR, it lacks context, and its needs to include patient-reported data and perceptions. 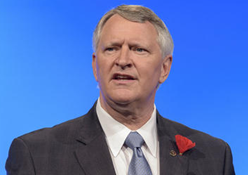 AMA is protective of its membership count – omitting the actual number from its otherwise detailed annual report — but admits that its small growth in the past few years is due to offering low-dues options to groups and for partial-year trial memberships. Some observers estimate that the percentage of American physicians who are members has dropped from 75 percent in the 1960s to as low as 15 percent today. Most of AMA’s $324 million in annual income is from publishing, selling databases such as CPT codes, and profits from its insurance agency. From LinkedOut: “Re: LinkedIn. You said it’s inexcusable not to have a LinkedIn profile. I have found it useful only for networking, primarily to land your next job. Most profiles are outdated. I’m happy in my current position and don’t have a profile. I prefer anonymity and a quiet inbox. If you are in a long-term relationship with someone with an updated EHarmony profile, you’ve got a surprise coming.” I dislike LinkedIn for many reasons: endless spam; slow page load time; user-written vanity pieces; and preening profiles full of questionably accurate credentials. All that aside, I look people up there all the time there for both work and non-work reasons (where did my cousin John Smith ever end up?) My comments specifically referred to executives, where not making a bio and headshot available there is a bad PR move. 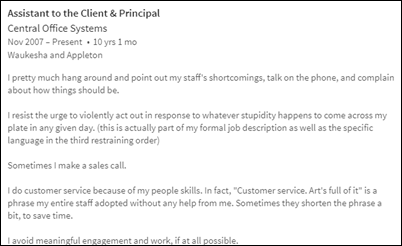 I also believe that everybody should be open to employment inquiries, which they are free to accept or reject as a business decision unrelated to receiving them in the first place. It’s a lot harder to desperately market yourself after your once-beloved employer has escorted you off their property and your current LinkedIn headline turns into “seeking the next great HIT opportunity” or you declare yourself a first-time, self-employed consultant because nobody’s hiring you. Anonymity and a quiet inbox are great until the paychecks stop, and trust me when I say that your employer’s EHarmony profile is always current even if yours isn’t. From Smoove B: “Re: HIStalkapalooza. Since you aren’t doing it at HIMSS18, you can put your name on our company’s event and we’ll give you some invitations to use.” I don’t really see any point to that, but it reminds me of something I’ve always wondered just in case I ever consider doing it again: why did people attend HIStalkapalooza? If you were there, complete this one-answer poll about why and I’ll report back. So far I’m not feeling nostalgia for the massive personal financial risk, the never-ending search for sponsors to help cover the cost, and the ugliness of the self-impressed who insist that their party presence is mandatory. HIMSS has plenty of parties, so mine shouldn’t be missed much. From Hinrika: “Re: UAE. Thought you would be amused at what happened when I tried to read HIStalk in Dubai this morning.” I’m always happy to be blocked, although it’s best when a paranoid vendor tries to hide unflattering news and opinions from their employees. That usually has the opposite effect — they simply read from home or on their phones out of curiosity to see what their employer wishes they wouldn’t. I don’t know what I wrote that got me banned in the UAE, but I’m probably proud of it. From GoLiveSupport: “Re: [health system name omitted]. 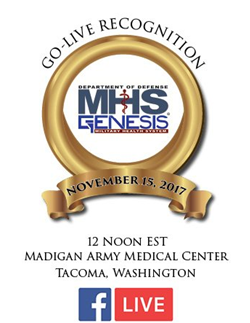 [consulting company name omitted] was chosen to help with its Epic go-live and brought in buses of foreign resources who could not speak English. The health system was so unhappy with the inexperienced resources that they made all of them take an assessment and then immediately walked off all 300 of them off the property and kicked the company off the project entirely.” Unverified and likely to stay that way since neither the health system nor the vendor is likely to confirm, so I’ve expunged the names. ED notification technology vendor Collective Medical raises $47.5 million in a Series A funding round. The Salt Lake City company, founded in 2006 by a couple of BYU computer science graduates, is now run by a Bain Capital private equity guy (and BYU grad) in his first CEO job. 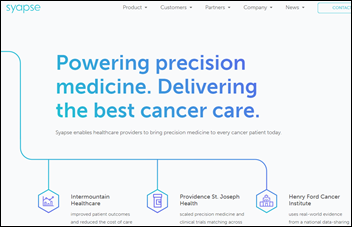 Syapse, which offers an oncology precision medicine and data sharing platform, raises $30 million in Series D financing, increasing its total to $70 million. 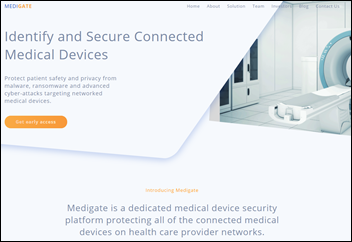 Israel-based Medigate, which offers a cybersecurity platform to inventory and protect connected medical devices, raises $5.4 million in a seed funding round. The three co-founders were all officers in the Israeli Defense Forces Intelligence Corps. Coding and compliance services vendor Aviacode acquires an unnamed, India-based medical coding company to extend its coding staff and available hours. A state judge denies a request from investors in Outcome Health who had asked the court to freeze $225 million that was due to be paid to the company’s founders. The investors’ lawsuit claims that the doctor waiting room advertising technology company, whose valuation rose to more than $5 billion, defrauded them by falsifying advertiser metrics. The complaint was amended Sunday to note that 22 high-level executives have left Outcome or have been placed on leave so far this year, with the investors also noting that they are receiving Justice Department subpoenas and expect the SEC to get involved. Humana appoints former National Coordinator Karen DeSalvo, MD, MPH, MSc to its board. 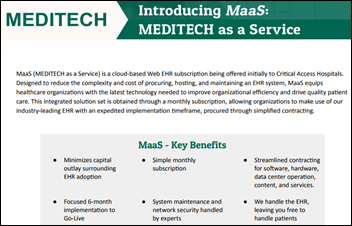 Meditech announces a cloud-based subscription version of its Web EHR that targets critical access hospitals. The company says hospitals can go live within six months of signing. A Black Book survey finds that only 19 percent of inpatient post-acute providers have any kind of EHR capability, with 91 percent of administrators reporting that they have no money budgeted for technology acquisitions and improvements. Nearly 90 percent of long-term care providers are not exchanging information with referring hospitals, doctors, or home health providers, while only three percent of them have analytics capability. 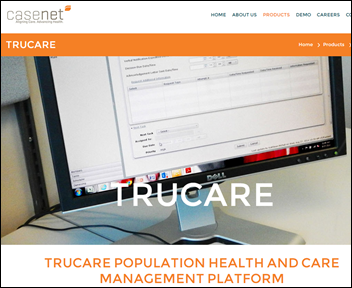 Netsmart is Black Book’s top-performing post-acute care technology vendor based on user satisfaction. 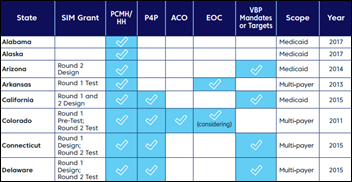 Casenet releases TruCare ProAuth, which allows providers to process prior authorization requests. A Change Healthcare study finds that at least 40 states are pursuing value-based payment programs. UPMC touts its kidney failure detection EHR alert that monitors serum creatinine trends, although the big-picture mortality improvement has been modest. Mediware adds billing capability to its MediLinks rehab EHR. CliniComp offers to drop the appeal of its dismissed lawsuit against the VA – for choosing Cerner in a no-bid contract — if the VA agrees to test its product head to head with Cerner and let the non-partisan General Services Administration judge which system performs best against existing VistA-to-DoD interoperability benchmarks. They don’t have a chance in this political climate, but its offer throws some justified shade on the VA for declaring that it’s in the best interest of taxpayers to sling no-bid billions at Cerner instead of looking at competitors, of which Epic would be a lot stronger than CliniComp despite the former’s lack of success implementing the Coast Guard and bidding for the DoD. The DoD’s MHS Genesis will celebrate completion of the initial deployment of Cerner in a Facebook Live event from Madigan Army Medical Center (WA) Wednesday at noon ET. The VA issues a $158 million contract to CSRA to convert the paper health records of 7 million veterans to digital form as part of its conversion to electronic claims. FDA approves the Proteus “digital pill,” a skin patch that will report to doctors when a patient takes a digitally enabled dose of the psychiatric drug Abilify. The system may improve adherence, although no studies have proven that, and it may prevent psychotic episodes if the patient is historically forgetful rather than deliberate in skipping doses. Still, some experts note the irony of giving a “biomedical Big Brother” to delusional patients as well bringing up the privacy implications of being monitored (although patients can opt out). An alternative is already available – once-monthly injectable aripiprazole. A London scientist develops a camera that highlights temperature hot spots on the feet of diabetics, allowing early detection of foot ulcers. 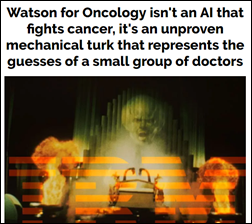 A Boing Boing article that contains no new research (but admirable snark) calls IBM Watson for Oncology “a human-driven engine masquerading as an artificial intelligence” that simply relays the results of a manual case review by Sloan Kettering experts. It notes that IBM hasn’t allowed an independent study of how Watson for Oncology works; its misleads doctors into thinking they will get a data-driven, global recommendation instead of the opinion of a handful of peers; it can’t accurately import patient records; and its outcomes haven’t been studied to see if its recommendations are any good. 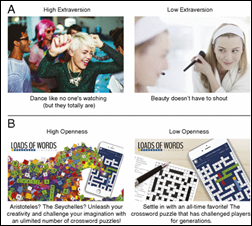 A research article concludes that “psychological mass persuasion” — using an individual’s digital footprints such as Facebook likes or Twitter activity to target social media advertising that pushes their specific hot buttons — is effective in altering their behavior, measurably influencing their purchasing and voting behaviors. That confirms (to me, anyway) that stories about social media influencing elections miss the most important point – that Americans aren’t smart enough to realize when they are being manipulated, are too lazy or too embracing of information that matches their beliefs to vet their information sources, and are too quick to launch personal attacks at anyone whose opinion (or especially factual information) contradicts what they want to hear. American adults of today sometimes seem like American children of yesteryear – self-indulgently watching cartoons, playing with toys, enviously watching what their friends are doing, and throwing temper tantrums, except now it’s all online. Let’s hope we don’t get invaded since the only resistance will be people getting in the way by holding up phones hoping to post the first Facebook selfies. An interesting public health issue: Colombian “soda cartels” threaten and attack consumer advocates who support a 20 percent tax on sugary drinks that are cheaper than water, convincing the government to threaten supporters with fines. Colombia’s obesity rate has tripled since 1980. A hacker breaches the hospital’s computer system in this Thursday’s “Grey’s Anatomy,” forcing the TV doctors “to get creative in their methods to treat the patients.” I’m certain it will be far from realistic, even omitting the standard hospital executive post-incident assurance that the system that was expensively purchased with claims that it would improve patient care puzzlingly didn’t negatively impact that same care when it tanked. PokitDok earns HITRUST CSF certification and accreditation for OSAP-HIE and CEAP. Kern Health Systems (CA) goes live on ZeOmega Jiva 6.1. LogicStream Health moves into a larger Minneapolis office after doubling its FTE count since 2015. 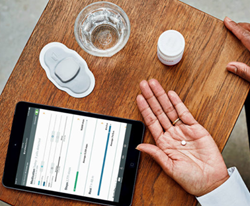 Definitive Healthcare is included in Deloitte’s Technology Fast 500 list. Meditech celebrates Canada’s Digital Health Week. Black Book’s latest survey ranks Netsmart as the top-rated HIT platform across post-acute settings for the third consecutive year. Arcadia Healthcare Solutions and Cumberland Consulting Group will exhibit at the 2017 HPA Clinical Informatics Value Visit November 15-17 in Kissimmee, FL. Carevive will present at the Navigation & Survivorship Conference November 16-19 in Orlando. CoverMyMeds will exhibit at the Norcal HIMSS Annual CXO Summit November 16 in Santa Clara, CA. Diameter Health President John D’Amore presents the the 2017 Digital Quality Summit. Just wondering if you, or your readers, might know what former HHS Secretary Tom Price is doing since his departure from the Trump Administration and what he actually accomplished (for better or worse) in his short tenure. I was listening to some PBS report today that referenced something he did which sounded fairly self-serving and it got me to wondering. Thanks! Regarding Golive Support: I was an Implementation Coordinator when I worked at Epic, and was absolutely disgusted at how much money customers were willing to spend for how little value these golive consultants provide. It’s one of the most corrupt and wasteful corners of the healthcare market, in my opinion. UWE was a really smart and thought provoking guy. He will be missed, for certain. 1.) You get what you pay for – the cheapest firm out there is setting themselves up for failure. In order to attract quality staff who actually can add value to your end users the firm needs to be able to cover a compelling compensation rate for the consultants they bring to your project. Better to spend 10 or even 20% more and have high quality support, than to end up spending a sizable amount of money without any meaningful outcomes. 2.) Don’t take a firm’s word for it that they have access to quality staff. Make them show you how they track and rate consultant skills and performances on projects. Have them actually show you their pool of talent. What security measures do they have in place to prevent identity fraud? There are firms out there who really do care and have processes and tools in place that ensure high quality teams for your support. 3.) Look for a firm who will be engaged in your Super User program to strengthen the internal support you have so you have less dependence on external support. This demonstrates they’re a true partner to your organization and they care about your long term sustainability. 4.) Make sure your partner does not over extend themselves. Several firms took on more than they could handle last month. If you have a large support need, make sure your partner isn’t committed to any other large engagements simultaneously that would compete for quality resources for your project. You forgot to mention another option, which is: Develop expertise among your own employees to support yourselves. This helps for golive, and for long after golive. It also saves you from the indignity of finding that you’ve been paying scores of complete strangers $100/hour to find places to hide and sleep while your own employees are trying to do their jobs under a major IT changeover. Even the “better” organizations that provide this support have completely unacceptable numbers of people who do practically nothing onsite. CIOs have been getting ripped off for years thinking that they’re providing people to ease the transition when they’re really just funding a huge fraud. Isn’t this the very definition of news media …ehem…marketing?